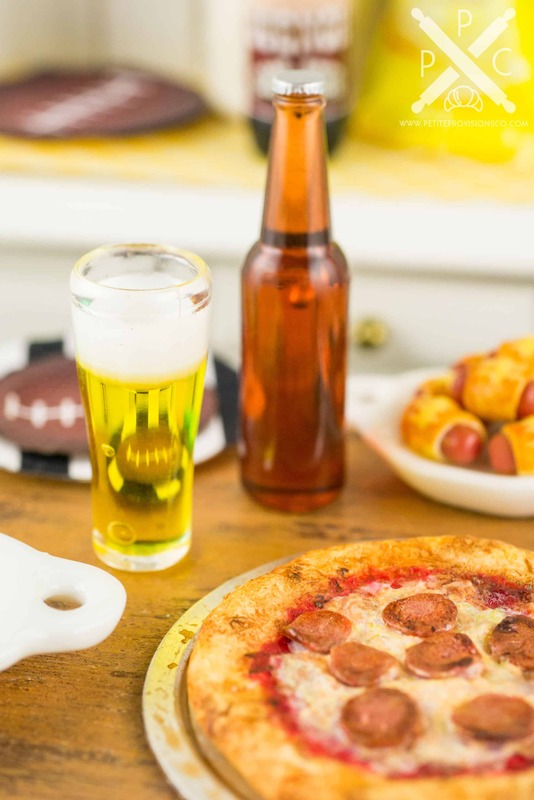 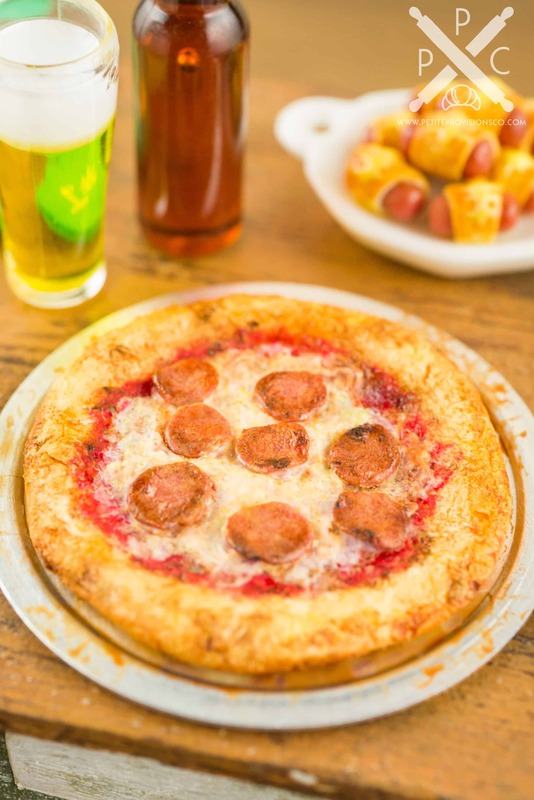 Dollhouse Miniature Game Day Pepperoni Pizza and Beer Set - 1:12 Dollhouse Miniature - The Petite Provisions Co.
What better way to relax on Game Day than with a pepperoni pizza and a cold beer? 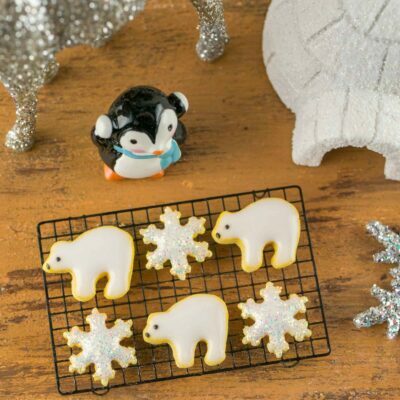 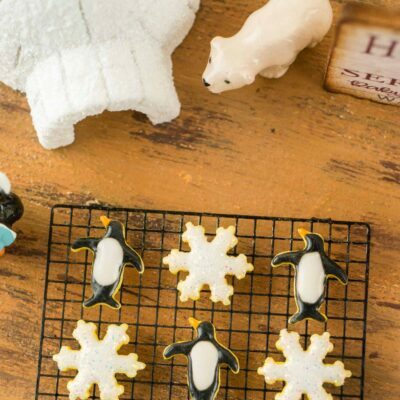 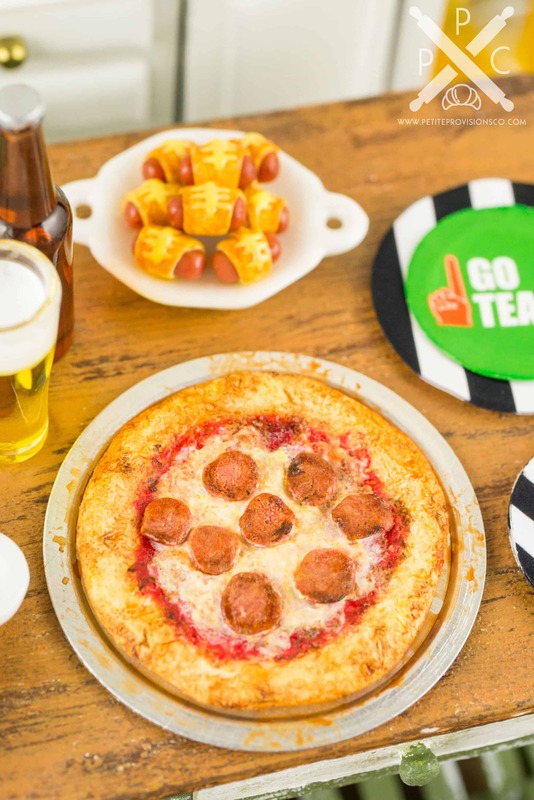 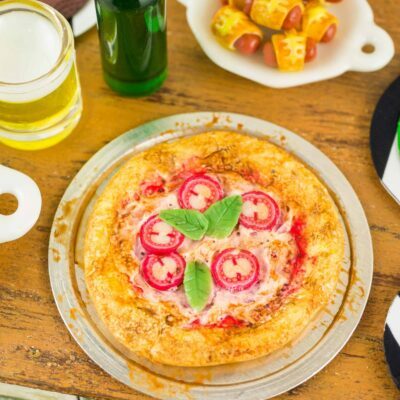 Whether you have a dollhouse or just love all things tiny, this bite-sized Game Day pizza set is too cute to resist! An oven-fired pizza topped with pepperoni on a metal pizza pan, along with a brown bomber beer bottle and a pilsner glass of beer. The pizza pan measures approximately 1-3/8″ in diameter. The bomber beer bottle is approximately 1-3/16″ tall. 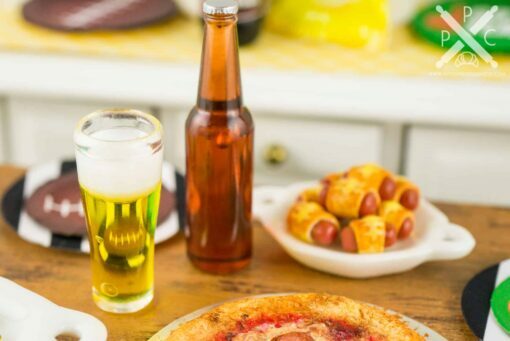 The beer glass is approximately 13/16″ tall. 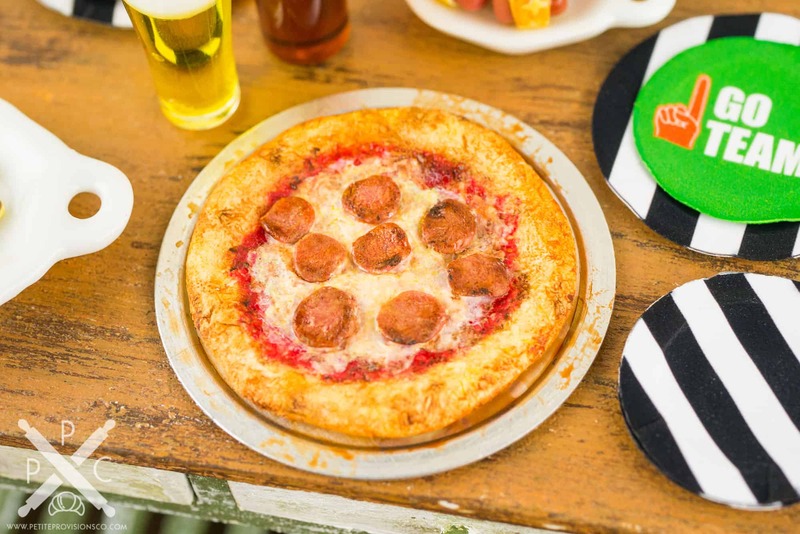 Pizza is permanently affixed to the metal pan.